With the arrests of two high-ranking executives at China Unicom, the anti-corruption campaign that has swept through the Chinese Communist Party over the past two years has now begun targeting the telecommunications sector. In China, politics creates business opportunities, and changes in the political scene bring changes to business. The first official to go was Zhang Zhijiang, Unicom’s general manager of network construction, on Dec. 15. A notice by Xinhua said he was being investigated by anti-corruption authorities for “violations of discipline.” Then on Dec. 18, Zong Xinhua, general manager of the IT and e-commerce unit, was thrown out—again, under investigation, presumably for graft. China Central Television also recently accused China Mobile, one of the largest state-run telecommunications firms, of “robbery”—a pointed political accusation of a firm that has long had links to the political tribe of former paramount leader Jiang Zemin. If this campaign unfolds as others have, these arrests may be the prologue to the targeting of the most prominent figures in the sector, in particular Jiang’s elder son, Jiang Mianheng. The anti-corruption campaign has been unprecedented in scope. The Xinhua News Agency claimed in June some 80,000 officials had been investigated. In October, it published a list of 55 high-ranking officials who had been cashiered, with close associates of Jiang Zemin dominating that list. When the campaign goes after someone, it tends to cast a wide net, and all of the target’s associates are investigated, starting at the outside and working relentlessly toward the center. When the anti-corruption forces unleashed by Party head Xi Jinping targeted former security chief and top Jiang Zemin ally Zhou Yongkang, they first took down his associates in the security apparatus, the petrochemical sector—where Zhou first gained power and wealth, and in Sichuan Province, his first power base. Before former second-in-command of China’s military and Jiang ally Xu Caihou was purged and arrested, there were a series of arrests in the military, including of close Xu subordinates such as Gu Junshan. The arrests of Zhou Yongkang and Xu Caihou were earthquakes on the Chinese political scene. A former Politburo Standing Committee member like Zhou was thought to be untouchable and Xu Caihou had been a dominant figure in the country’s military. But a move against Jiang Mianheng would be even bigger, because he is Jiang Zemin’s son. 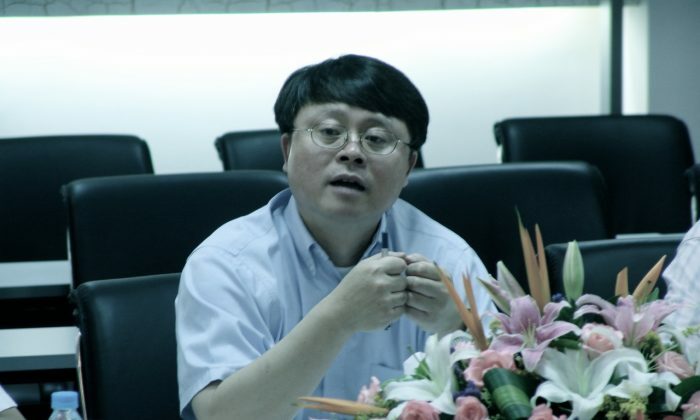 Whether Jiang Mianheng will eventually be put in handcuffs and paraded through a courtroom is not yet clear. But just as politics rapidly swept up Jiang Mianheng to prominence in business, now the changing of the political tides seems sure to sweep him out. During the 1990s, the chief of the Communist Party was Jiang Zemin. And as the telecommunications industry went through reform and built sophisticated telephone and fiber optic networks across the country, Jiang made sure that his eldest son, Jiang Mianheng, got a front seat on the action. In the overseas Chinese-language press, which is free to report on the economic adventures of Chinese officials and their family members, Jiang Mianheng is often known as China’s “Telecommunications King,” because of his extensive interests and control in the industry. It’s very simple: any major company, if they want to operate without trouble from the government, needs to find a political backer. “It’s very simple: any major company, if they want to operate without trouble from the government, needs to find a political backer,” said Cheng Xiaonong, a former aide to top Chinese leaders, who completed his dissertation about the politics of Chinese state firms. The political backer—the Chinese term is “kaoshan,” literally meaning “a mountain to lean on”—of a Chinese telecom that later merged into China Unicom, the company now under scrutiny, was Jiang Mianheng. The phenomenon of the children of top leaders controlling massive assets—carving up the economy among themselves—has been documented by researchers, though many of the details of these deals remain in the shadows. An examination of the path to power of Jiang Mianheng represents a typical case study of how business is wedded to politics in China’s economy. He is but one of many family members of top officials to have benefited from his ties to power to control a vast commercial empire—in particular during 1990s and early 2000s, when Jiang Zemin, as leader, presided over the efflorescence of nominally “private” enterprises made fat with foreign investment. Upon returning to China in 1992, Jiang Mianheng went into business—and politics. Typically, Chinese communist officials are accused of “business and officialdom conspiring”—but Jiang Mianheng was seen as a twist on that theme: “a businessman and an official at the same time,” as described in an account of Jiang Mianheng’s early years by the Hong Kong magazine Xin Shiji. First, Jiang gained control of Shanghai Alliance Investment Ltd., known as SAIL. The corporation officially belonged to the Shanghai municipal government, who established it in September of 1994—but it was widely known simply as “Jiang Mianheng’s company,” according to reporting from China at the time. SAIL superseded an existing city-controlled investment firm that was aligned with Jiang Zemin’s political frenemy, Zhu Rongji (who served under Jiang as premier). Boosted by Jiang Mianheng’s high-level political ties, SAIL raised money and began making investments in telecommunications infrastructure in the city. But it remained secretive: it had no opening ceremony, didn’t publish business results, and never explained who its executives were. 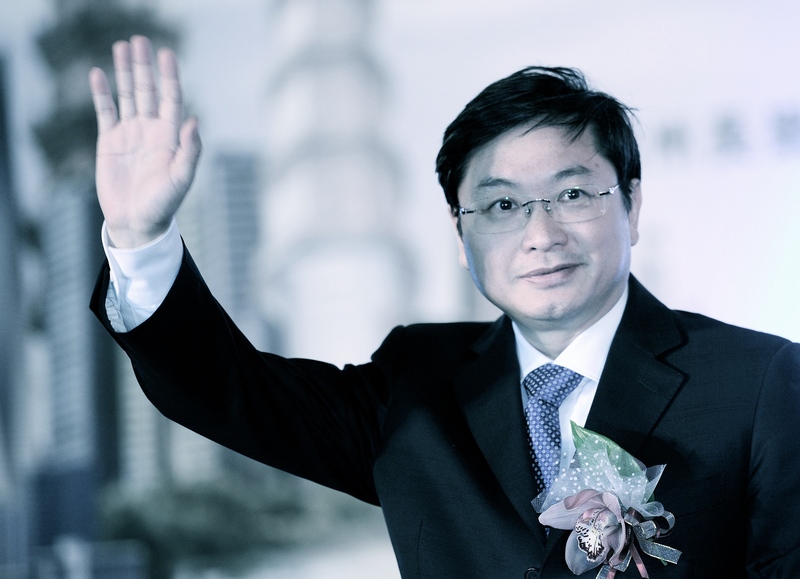 From SAIL, Jiang gained control of nearly 40 percent of the Shanghai Information Investment Corporation, which then was awarded part of the city’s $8.5 billion spend on telecommunication infrastructure, including the vast “Shanghai Infoport” project, according to Eric Harwit’s book, China’s Telecommunications Revolution. The public never found out how his company earned such a huge stake in a massive state asset. The position also allowed Jiang Mianheng to take a seat on the board of China Netcom, at the time a small telecommunications firm that was struggling to compete with the state giant China Telecom, which controlled over 80 percent of the telephone market. On paper, SAIL held a third of the shares of China Netcom. The chairman of the latter was Edward Tian (in Chinese, Tian Suning), and his efforts at the apparent helm of the company earned fawning praise in the Western press—comparing him to Steve Jobs and Bill Gates—and a case study by professors at Harvard Business School. The success thus far was nothing compared to what was to follow: in late 2001 and 2002, the state behemoth China Telecom was split in half, and its infrastructure in 10 northern provinces was all handed to China Netcom. Thus, a mere three years after its founding, China Netcom, with Jiang Mianheng in charge, became the third largest telecommunications company in China. In 2004 it went public in Hong Kong and New York. As Ho writes, “Although Jiang Mianheng was not even a board director, it was widely believed that he still controlled the company.” In 2008, when it was still public, it was worth nearly $26 billion. In 2008, China Netcom was merged into China Unicom. Following internal revelations of Jiang Mianheng’s massive corruption, as documented in leaked State Department cables around 2007, he appeared to lose influence inside the system. However, no action was taken against Jiang Mianheng, and it is far from clear whether he lost his foothold in the telecommunications industry at all. The current executive director and president of China Unicom is none other than Lu Yimin. According to Unicom’s website, Lu served for 13 years in the Secretary Bureau of the General Office of the Chinese Communist Party Central Committee—a highly sensitive political posting. Lu is widely held to be the longtime secretary of Zeng Qinghong, Jiang Zemin’s top hatchet man. “Secretaries” are an important, often informal, part of the Chinese communist system—they manage the affairs of their political master, including their assets, estate, bribes, and access. And they know where the bodies are buried. According to the 2005 doctoral dissertation of Qing Duan, the structure that the telecommunications industry came to take on during the late 1990s and early 2000s was “largely the turf fight between Jiang Zemin’s protégés and Li Peng’s underlings.” Li Peng was the former premier of China. The breakup of China Telecom, in this reading, follows the simple logic of power struggle between communist aristocratic families. 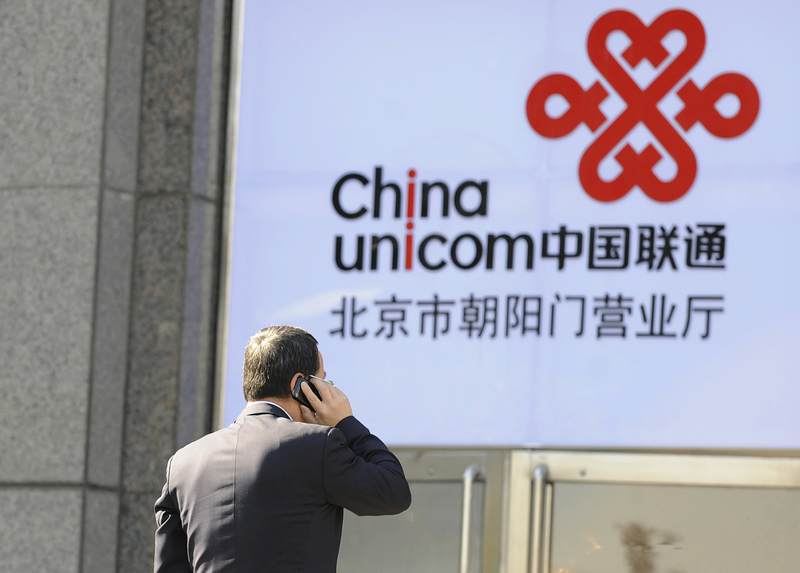 China watchers and businessmen will now be looking to see if the arrests at China Unicom herald a thoroughgoing shake up of the industry. Recently, a Hong Kong magazine published an exposé on the crimes and sexual transgressions of the Chinese regime’s former security czar Zhou Yongkang. A former Chinese official had 14 fake passports and vast secret wealth—including antique art and gold coins. Chinese regime leader Xi Jinping has announced as an objective for 2015 no factions in the Chinese Communist Party—something at least one commentator views as impossible.